For 2 days in one place, the IMIA Americas Conference provides hours of industry presentations and opportunities to get specific questions answered by mapping and industry professionals. Inspirational keynotes. Lightning Talks to create new ideas. One-on-one with other IMIA members. Plan to attend and learn what’s new, network with your peers and stay connected to the pulse of this innovative industry. This is an especially important year to keep up with changes in the geospatial industry because of rapid advancements in the field. IMIA attendees will learn how to leverage their company capabilities to make the most of its resources and provide avenues for financial success. The IMIA Americas Conference is the place to come and learn. Plus it’s a great place to build new friendships and business partners. See you in beautiful, exciting and very special San Diego, California! The arrival and departure pattern has been changed this year. The conference will officially open on Tuesday, November 29 with the Welcome Reception and end on Thursday, December 01 with a closing social event. IMIA hopes that you will be able to attend all educational sessions and social gatherings. IMIA Americas will provide the hotel with a rooming list for all hotel reservations. The group rate is $189.00 plus applicable taxes and is available at the group rate three days pre and post. Reservations will be handled by IMIA Headquarters only. The cut-off date for reservations is October 25, 2016. After that date there is no guarantee of room or rate. More information to come regarding the process. Questions, call IMIA Headquarters at 310.940.7601. 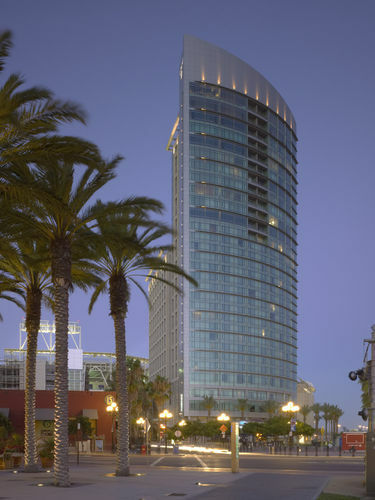 California’s second largest city and the United States’ eighth largest, San Diego boasts a citywide population of nearly 1.3 million residents and more than 3 million residents countywide. Within its borders of 4,200 square miles, San Diego County encompasses 18 incorporated cities and numerous other charming neighborhoods and communities, including downtown’s historic Gaslamp Quarter, Little Italy, Coronado, La Jolla, Del Mar, Carlsbad, Escondido, La Mesa, Hillcrest, Barrio Logan and Chula Vista just to name a few. Popular attractions include the world-famous San Diego Zoo and San Diego Zoo Safari Park, SeaWorld San Diego and LEGOLAND California. In San Diego’s East County, the terrain varies from gentle foothills to mile-high mountains and the historic mining town, Julian, down to the 600,000-acre AnzaBorrego Desert State Park, offering nature-conscious visitors endless opportunities to hike, camp, fish, observe wildlife, and much more. In San Diego’s North County, the agricultural community produces quantities of flowers and magnificent produce. Wine growers are also making a mark by growing and harvesting quality grapes that become excellent wines, which are served at some of the most elegant restaurants and resorts in the region. To the south, it’s a whole different country, Mexico, featuring its own cultural offerings in various towns along the border and coastline, including Tijuana, Rosarito and Ensenada. San Diego’s arts and culture and culinary arts are booming. The hottest, new culinary arts talents prepare award-winning meals throughout the region’s 6,400 eating establishments. Balboa Park, the largest urban cultural park in the U.S., is home to 15 museums, numerous art galleries, beautiful gardens, the Tony Award-winning The Globe Theatres and the world-famous San Diego Zoo. San Diego County also features 92 golf courses and a variety of exciting participatory and spectator sports, beachfront resorts and luxury spas, gaming, a dynamic downtown district, annual special events and unique holiday offerings, multicultural festivals and celebrations, colorful neighborhoods and communities, a rich military history and much more. The most difficult decision to make regarding a vacation to San Diego is determining what to do and see among the region’s vast and diverse offerings. San Diego County promises a truly remarkable vacation experience for everyone of all ages. How do you register for this conference? And, do you have to be a member? You do not need be a member of IMIA Americas. We encourage anyone that is interested in the mapping and geospatial attend our conferences. 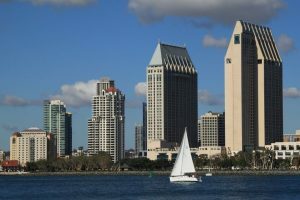 If you wish to attend go to the IMIA website’s home page and click on the Americas Conference in San Diego. Then click on the News & Events box and all the registration details are there. If you have any problems, please call IMIA at 310.940.7601. Hope to see you in San Diego.